Even with the highest qualifications or most relevant experience, it can be hard to get attention in many industries. Sometimes all you need is a creative resume with a little flair and flavor to catch the eyes of employers. So if you feel that you meet all the requirements listed in a job description, but lack a resume that will get you noticed by recruiters and hiring managers, then download one of our creative resume templates below. Our template designs were inspired by our team’s favorite World Heritage Sites in the United States and are all free to download as a Microsoft Word document. Why it’s called the Yosemite and Who should use it? Yosemite National Park is made up of a diverse set of stunning geological features and landscapes, but it is most well known for its cascading waterfalls. The Yosemite template pack’s multiple bar patterns are designed to be reminiscent of the park’s 20+ waterfalls. This template is suitable for job seekers in highly competitive or technical industries that might need help standing out in a large stack of resumes. Why it’s called the Mesa Verde and Who should use it? The design of the Mesa Verde template is based on the cliff dwellings of the ancient Pueblo people. 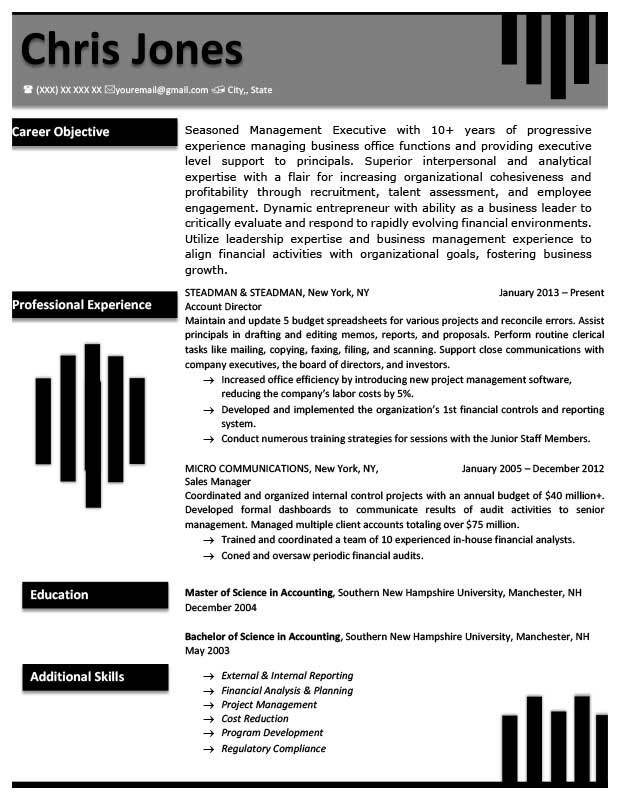 The sections of this resume represent the layers of alcoves where they resided. Since the Mesa Verde design is structured with five sections, it is perfect for those that have a lot of content to fit on one page. If you need help writing a great cover letter to go with your resume, check out our guide on how to write cover letters. Why it’s called the Olympic and Who should use it? Within Olympic National Park stands the snowy peak of Mount Olympus. The heading of this template is meant to resemble the glacial mountain ridgeline, while also drawing attention to the job seeker’s name and position. The Olympic resume design helps to accommodate job seekers with a longer resume introduction. Why it’s called the Redwood and Who should use it? The Redwood template gets its name from the Redwood National Park, which hosts the majority of one of the largest tree species on Earth. This resume design has its own redwood of sorts that stretches the length of the left-side of the resume and emphasizes the applicant’s name, career objective, education, and additional skills. Use this template if you need room on your resume to include 3 or more previous professional experiences. Need more help? Take a look at our comprehensive guide on how to write a resume. Why it’s called the Everglades and Who should use it? Unlike many of the national parks in the U.S., the Everglades National Park was the first that was established to protect an ecosystem. This is fitting – in many respects a resume is also an ecosystem of interdependent skills and experiences. The Everglades design makes use of a shadowed border to contain the applicant’s information and is great for those who don’t have enough information to fill up a full page. Why it’s called the Monticello and Who should use it? The Monticello template is structured much like Thomas Jefferson’s neoclassical home that it was named after. Hiring managers are directed down a “central hallway” with the different resume sections on either side. Notice how one of the first things that the hiring manager will see when they look at the Monticello is the “Key Skills” sections. So if you have a particularly impressive set of skills, be sure to choose this resume design. Want something more traditional? 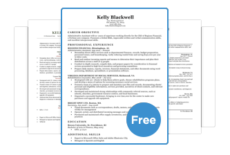 Find a perfect resume template for your current career or life situation. Why it’s called the Independence and Who should use it? Independence Hall is regarded as the birthplace of America; both the Declaration of Independence and U.S. Constitution were debated and signed in the famed Assembly Room. To commemorate such a profound and meaningful symbol of our history, we created the Independence template. This resume design uses two horizontal section breaks to separate the resume introduction from the candidate’s professional experience, thereby allowing us to maximize the amount of information that job seeker’s can include in their resume. You’ll also notice that we have swapped out normal bullet points for check boxes so that when hiring managers read it, they feel like they are checking off all your qualifications for the position. Use this template if you have specific achievements that you want to highlight. Why it’s called the Yellowstone and Who should use it? When most people think of Yellowstone National Park, the first thing that comes to mind are the geysers, particularly Old Faithful. We like to refer to this resume design as the the “Old Faithful Template” because it has one of the highest interview rates among all of our templates. Our Yellowstone design is favored by hiring managers because it offers so much information on the applicant without being overwhelming or hard to read. While this template is great for just about any kind of job seeker, it works best for those who have specific areas of expertise, have received professional awards, and have had notable achievements in their previous jobs. Writer’s block? Need some inspiration? Visit our resume sample library. You are most welcome, Santoshkumar! You are very welcome, Mike! What a fantastic find!! Thank you! You are very welcome, Jenn! Lauren , shoot me an email i think you have a great site, I specialize in internet marketing, we could get some serious traffic through here. Can I get some more unique resume templates …So far it was great. Thanks a lot for this great great service for the people. It is a great help. You have won my heart. Can I get Elon musk resume template?